The Blue Whale Challenge was developed by a Russian who is currently behind bars. 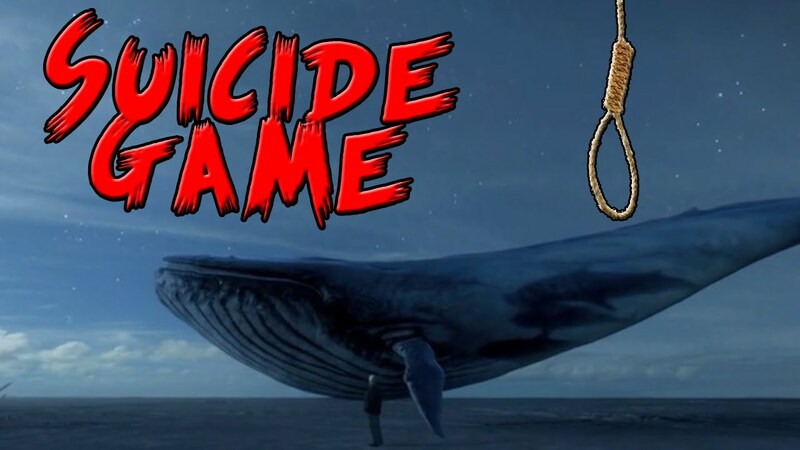 Indian parents are waking up to this new online threat to their kids: ‘The Blue Whale Challenge’ which in extreme steps leads children to commit suicide. Fingers are flying fast on WhatsApp, Facebook and Twitter sharing ‘facts’ about the challenge, tips about mentoring kids, and opinions of experts that are adding to the confusion. “What is the Blue Whale Challenge?” “Is it a game or an app?” “Where is it available?” “How can I know if my child is playing it?” These and other similar questions are now making the rounds, understandably, as perturbed parents are trying their best to get a grip on the issue. Alternate names: A Blue Whale / A Quiet House / A Silent House / A Sea of Whales / Wake Me Up at 4:20am. The background: The Blue Whale Challenge was developed by a Russian who is currently behind bars. The game had an app but now it has been removed. However, if anyone has backed up data and saved the app, it may still be there on their devices. It may also be shared in unregulated groups. The game: The game consists of a series of dares, and every time the player completes a challenge, a new one is assigned to him/her. This happens over a period of 50 days (According to some reports, this includes carving a Blue Whale on the hand). The last one is supposed to be one that is potentially life-threatening. Not only that, the participant has to livestream or share the suicide on Facebook. The modus operandi: How does the moderator get the participants to accept and complete challenges? Simply by goading them on; shaming them or belittling them if they show hesitation. They already have the phone numbers and email addresses of the participants, so it’s easy for the moderator to contact the participants. The participants are also threatened not to keep records of any mails or messages or else their family member’s personal information would be hacked and made public. Wait a minute, doesn’t this sound familiar? Cyberbullying! Just like how cyberbullies use a variety of tactics ranging from phishing to ransomware, cyberbullies in this case have changed their approach. Origin: There are contradictory reports about existence of an app and now it’s been removed from online stores. Social media and forums are recognized means which have helped proliferate the same. This is not a case of malware or virus attacks. It is more related to human psychology and banks on the child’s naiveté, lack of self-esteem and acceptance to a group. Such games have existed and continue to exist and bans won’t prevent their creation. Just like there are fun challenges like the ice bucket challenge and the pink whale challenge, there are also potentially harmful ones that include taking selfies in front of running trains and other dangerous acts. Children by nature are adventurous and dares, no matter how small or big, could satisfy this need for excitement. Open Conversation: Like in the real world where you guide your child, likewise your child needs guidance in the online world too which can only be given by you until they attain maturity. Have regular and informal conversation so they share without the fear of being reprimanded. Encourage questions, address their curiosity and guide them in a friendly manner rather than leaving up to them to figure things on their own Also, its recommended to impart knowledge to break free from peer pressure and not be negative online. A strong, confident child will be able to make better decisions and this is the skill as parents you can teach your children. Stanger Danger: According to McAfee’s ‘Connected Family’ study in 2017, 49% of Indian parents are concerned about their child potentially interacting with a social predator or cybercriminal online. Education and open conversations within families are critical as kids are curious and give trust easily. Highlight incidents about how strangers try to earn trust falsely for their own agenda which can extend from cybercrime to physical theft when you are not home. Insist that they should avoid entering into any form of communication, sharing or confiding with strangers including calling, emailing, texting or meeting people they don’t know well in person. Balance: Set daily internet time when they can surf online and do school work. Also, make the rule -Absolutely NO devices go to bed with your child. If you notice your child is online more often than usual you should investigate. Monitor: Even if you are not a tech savvy person, there is nothing like a parent’s concern to keep children on the right path. It’s suggested you use the parental control features available in reputed security software which makes it easy and simple to help keep your children safe online. Do your part: Discuss with your child about how to identify such online dangers and report it if they encounter any. It’s our duty to keep the ecosystem safe for everyone as we would expect from our neighbor. Monitoring your child’s online experience until they get a sense of judgement is something I have always advocated for, and is now more important than ever. Do your part and help make the internet a safer place for everyone.